Our Center believes in returning services to those who have served us. We encourage any and all individuals, businesses, or organizations to join us in that mission. Below is a list of ways to give back to our Veterans, military students and their families. If you are interested in giving back, please contact us and our team can help get you connected. Would you like to financially show your support for the Iowa State University Veterans Center and make a direct impact on Iowa State student Veterans, military personnel, and their family members? Please consider making a tax-deductable donation to the Veterans Community Gratitude Fund, managed by the ISU Foundation. Thank you for your support! Every Thursday evening during the fall and spring semesters the Iowa State University Veterans Center hosts a Thursday Night Dinner for our Veteran/military students. There is always a need for sponsors to help provide these meals. If you, your business, or organization would like to donate, please contact the Veterans Center at veteranscenter@iastate.edu. Our office is an intersection of numerous programs and events that may be a good way to use your time, talent, and expertise to help our community. To volunteer your time please contact our office. Operation Hat Trick is a program in memory of Nate Hardy, and Mike Koch, both of who were Navy SEALs who died in combat. A portion of your purchase goes to the Operation Hat Trick organization to benefit the recovery, education, and future employment of wounded servicemembers and Veterans. 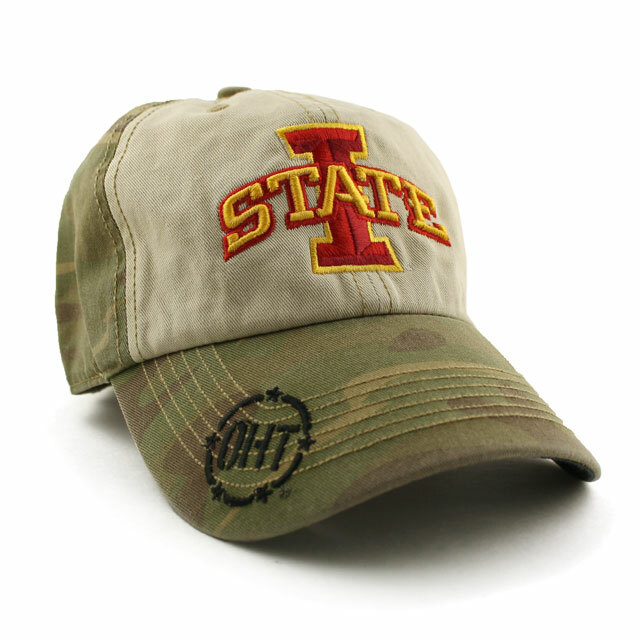 The camouflage caps with the the I-State logo embroidered on the front can be purchased from the the Iowa State University Book Store. The OHT logo is embroidered on the bill, and there is an Operation Hat Trick patch on the back of the cap. 25% of the profits also go toward the Iowa State University Veteran's Association. More information and to order. Personal letters of appreciation are often some of the most memorable and positive items that that our military service men and women receive. Our office gets numerous requests to help students and student groups send letters to those who are serving. Learn more here.